We have moved into a new build with a fairly generous plot which is south facing. I am very excited to get started as its a completely blank canvas. I am considering borders around the side to keep as much grass as possible for my young son and dog to play in. I have read its best not to plant now due to the temperature. but could I mark out my borders, turn the soil over and add some compost in readiness? Are there any other things I could be getting on with? Hello @jamiefrayne welcome to the forum ! Lucky you, having a blank canvas to start with. You certainly can begin marking out the borders, my main advice would be to make them quite a good size. 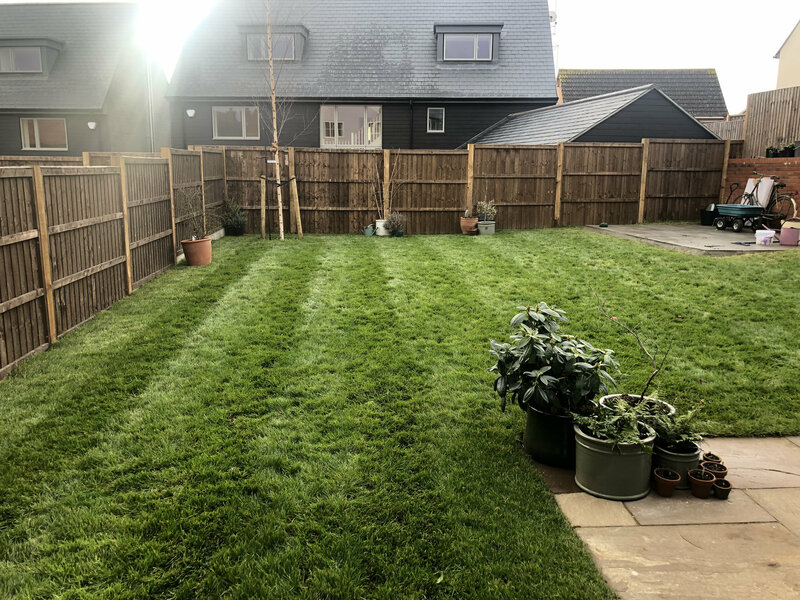 I know you want grass for your son and dog, but if you make them too small, you may well find yourself "nibbling" into the lawn trying to squeeze more plants in ! There's nothing worse than plants stuffed into a narrow border with little space to grow. Also curved borders look good, but don't make the curves too tight, as it makes mowing difficult. Depending on what you want to grow, shrubs, perennials etc. you'll find plenty of advice on here. Hi @AnniD thanks for the post! yes, I was going to make the borders fairly generous as want a layered effect and not look like they have all been squeezed into a small space. I also have a silver birch in the corner where I was planned on curving round. not sure if having a young tree in this would look right? Ps trying to upload a pic, but my Mac won't allow it! I was just about to ask, any chance of a photo! Silver birch idea sounds good, don't know if you have drawn up a plan on PC or old fashioned paper but it always helps. Jamie if your photo won't load it may be too big. Try reducing it. Here we go, had to do it the log winded way on my phone - technophobe! Is there any particular style of garden you like Jamie? Contemporary or cottage garden ? If it's more contemporary, you may want to stick with straight lines, cottage etc more curved lines. Now there's a question! I like both! I basically love the idea of bright colours, lots going on. Part of me thing the corner with the tree would look better curves to take into account for the tree. so the tree isn't on the outside of the border if that makes sense? Yes, if you incorporate the tree into the border, it looks better than if it's on the edge, otherwise it looks a bit like "l had this tree and nowhere else to put it" ! Edited to add, if you want bright, instant colour you can always sow hardy annuals seeds in Spring.